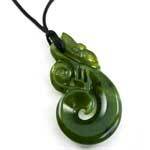 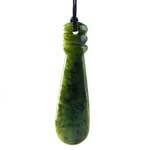 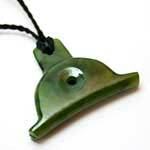 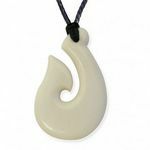 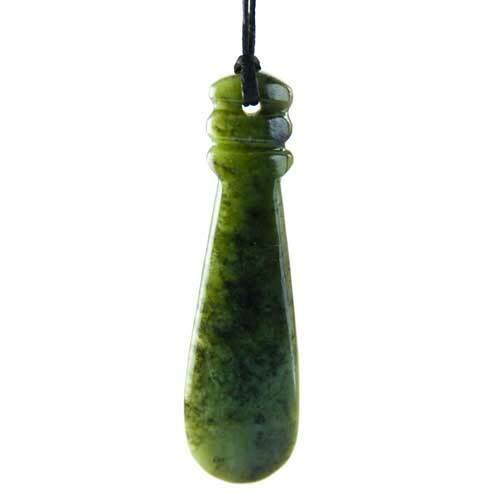 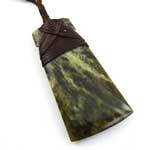 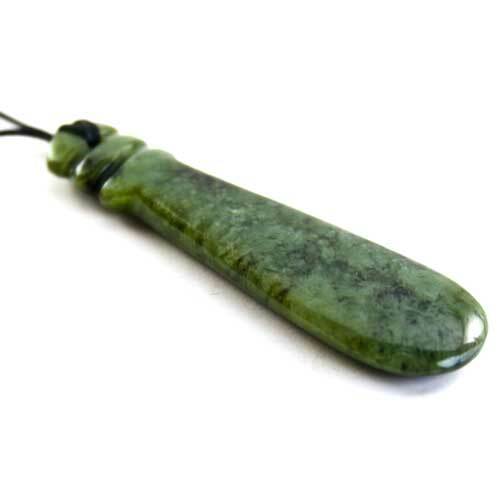 This pendant is in the style of the Mere, also known as a Patu or Waihaka, which is a short flat club style weapon. 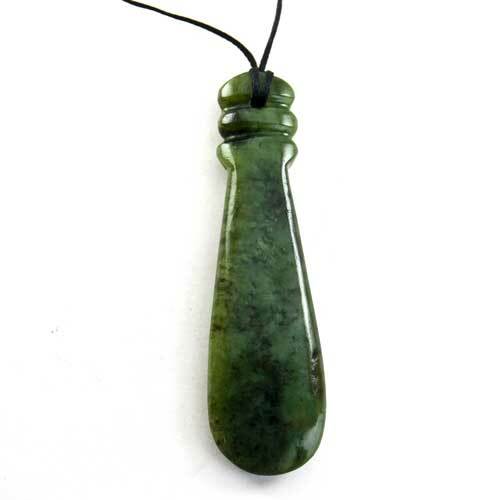 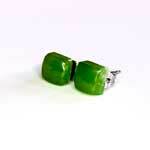 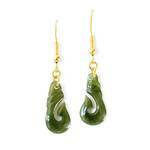 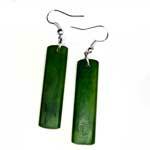 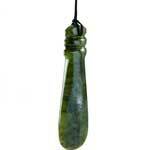 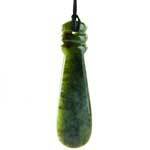 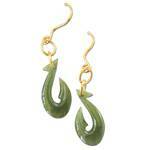 It was usually made from Bone, wood or in this case Greenstone. 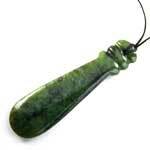 It was used by skilled Maori warriors in hand-to-hand combat and in the right hands it was deadly. 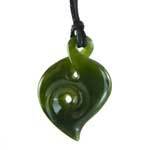 The greenstone mere was particularly highly prized as it requires an incredible amount of work to make one. 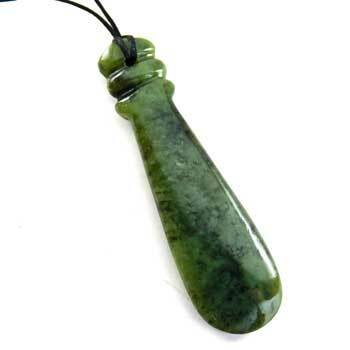 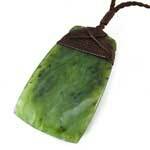 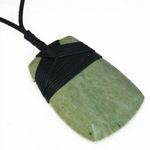 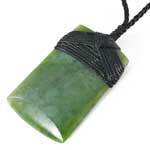 Warriors who carried a greenstone mere were considered to posses great strength and honour. 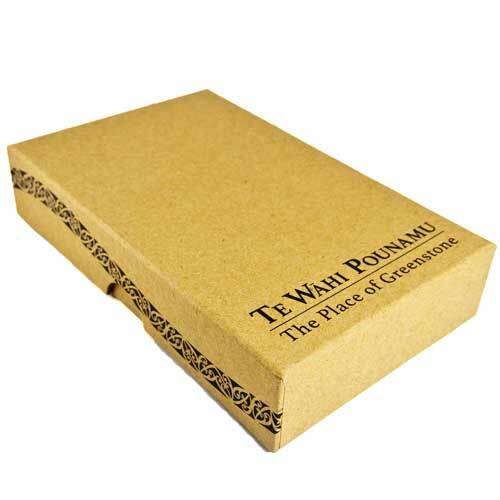 Measures 65mm (2.55 inches) Long, 20mm (0.8 inches) wide.